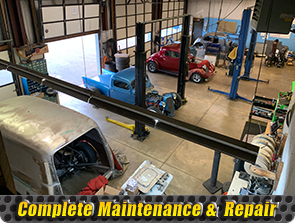 Powl's Speedometer is equipped to meet all your maintenance and repair needs to OEM specs from oil & filter, brakes, exhaust, tune up and clutch to all your major and minor repairs. All managed by a staff of ASE Certified technicians. 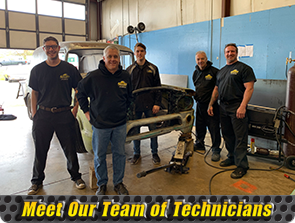 Powl's Speedometer is a full auto service center, with trained electronic technicians to handle difficult electrical problems, from cruise controls, instrument panel repair and diagnostics, and custom request on all year, make and models of vehicles. Powl's Speedometer is your Complete Auto Care Center! Is your cruise control malfunctioning? Do you want to have cruise control in your vehicle? Powl's Speedometer can custom install an aftermarket cruise control system into most any vehicle, excluding heavy trucks. We can also troubleshoot and repair most O.E.M. cruise control systems. Powl's can handle all of your air conditioning needs. All managed by a staff of ASE Certified technicians.